“It seems that the advancement and understanding of science has always relied on the sharp wisdom of young minds like yours." It has been a big year for events at the NYSF this year. To celebrate the selection of students throughout Australia, state Governors’ are invited to host an afternoon tea for students. 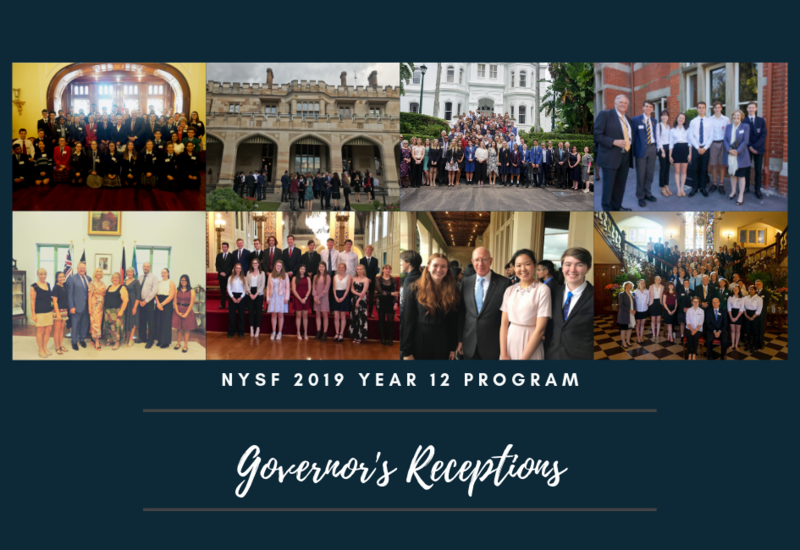 This year six Governor’s Receptions were held to celebrate student selections in their home state and offered them a valuable opportunity to begin their networking, meeting students from other parts of the state, who will also attend one of the three NYSF sessions in January. First to commence the celebrations was South Australia. 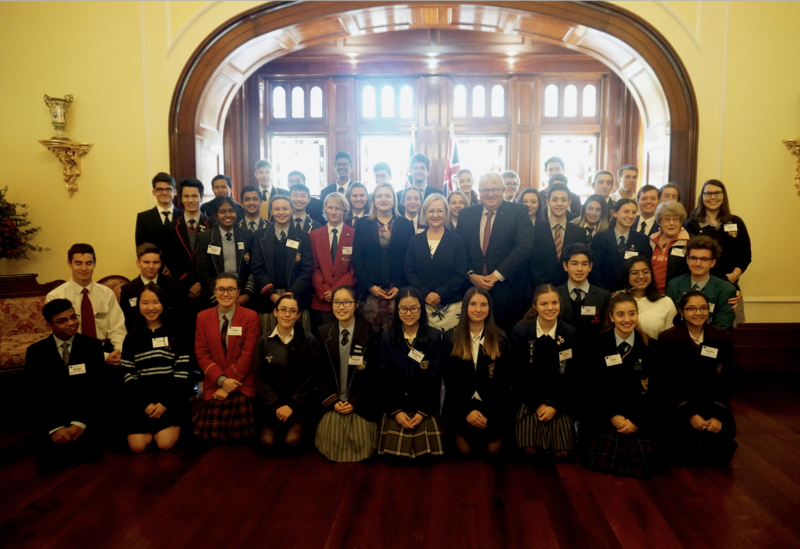 In Adelaide, Her Excellency, Lieutenant Governor Professor Brenda Wilson hosted the incoming South Australian students selected to attend the NYSF 2019 Year 12 Program. Coming from a science background herself, Her Excellency spoke of her passion for science and her first-hand experience seeing that science truly has the power to save lives. 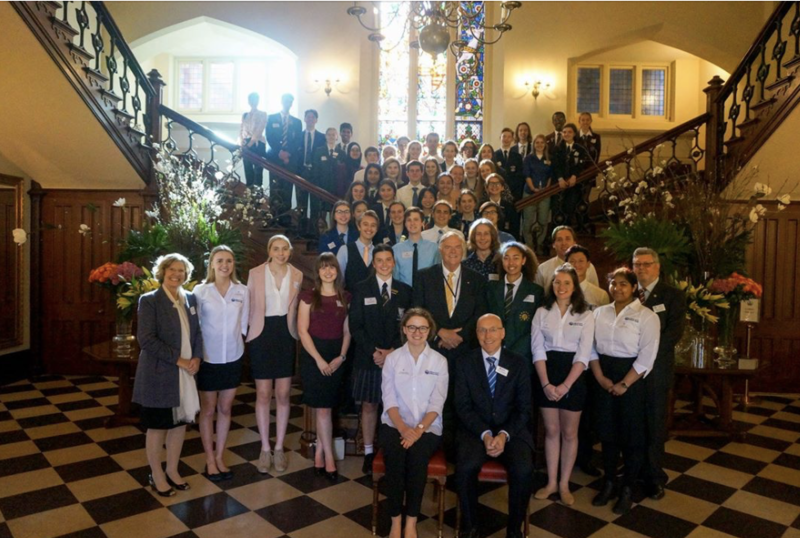 The following week it was NSW students who were welcomed by the NSW Governor General, The Honourable David Hurley AC DSC (Ret’d) Governor of New South Wales and Mrs Hurley. 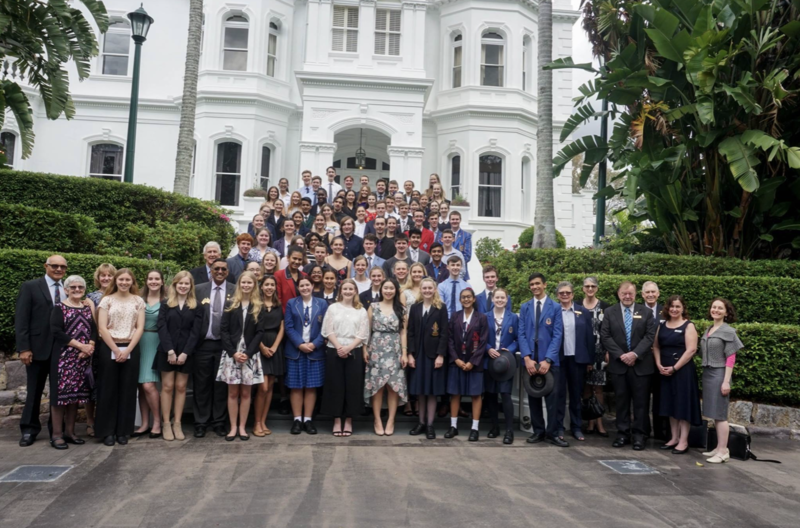 Students from across the state attended the Reception, where His Excellency also reflected on his own studies in science and mathematics prior to his career in the defence force. He encouraged the students to continue their studies in science fields and acknowledged the important role that Rotary plays in supporting the NYSF participants to achieve this goal. Representatives from NYSF partner organisations also attended, including Macquarie University, UNSW Sydney, Cochlear, and Rotary. Andrew Metcalfe AO, Chair of the NYSF, in his vote of thanks, acknowledged the importance of STEM skills for Australia’s future and advised students to make the most of their NYSF experience moving through to the end of high school and beyond. 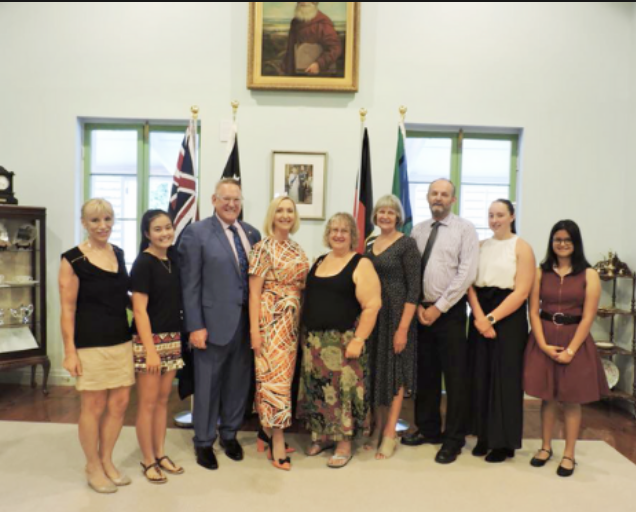 Heading north the Administrator of the Northern Territory, Her Honour the Honourable Vicki O’Halloran AM and Mr Craig O’Halloran hosted a more intimate event at Government House in Darwin – welcoming the three Northern Territory students selected for the program. NYSF representative Sabaratnam Prathapan (Prath) thanked the Administrator for hosting the afternoon tea and those who have supported the students’ selection, in particular the local Rotary clubs. 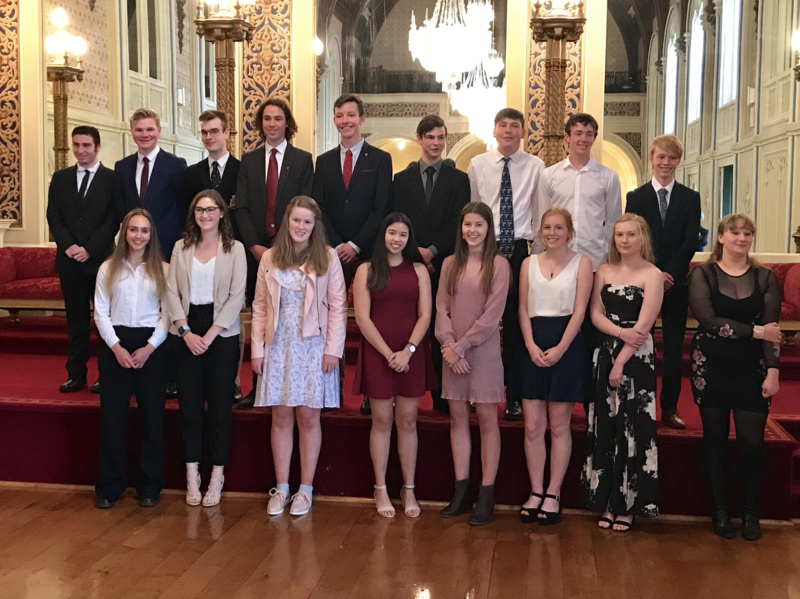 Next was Tasmania and the 20 students selected for 2019 were welcomed by the Tasmanian Governor, Her Excellency Professor the Honourable Kate Warner AC and congratulated on their selection to the NYSF Year 12 Program. “Your site tours, lab visits and lectures at the Australian National University and the University of Queensland, will represent a fabulous academic opportunity — I therefore strongly urge you to make each day count, although you probably don’t need much by way of encouragement. And I understand that there is a decent social side to it all, which is also important. The National Youth Science Forum is designed precisely to be a whole-of-life experience,” Her Excellency Prof. the Hon. Kate Warner AC. The Governor of Western Australia, The Honourable Kim Beazley AC continued the celebrations, congratulating WA students on their selection. His Excellency told the students they were to be commended as they had been selected based on their demonstrated capacity and interest in science and that the community looked to them for the future. The reception was also attended by former WA Chief Scientist, Professor Lyn Beazley AO and local Rotarians. 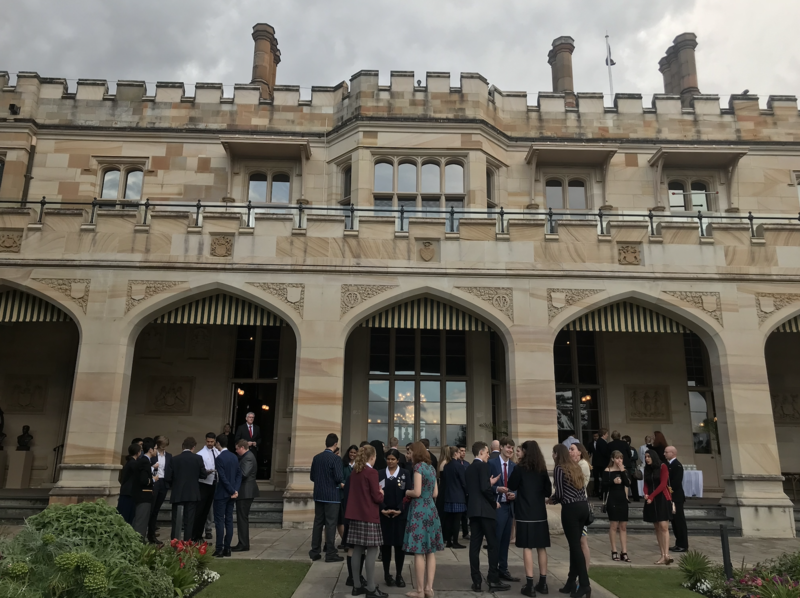 The final reception was held at Queensland Government House where the Governor of Queensland, His Excellency the Honourable Paul de Jersey AC and Mrs Kaye de Jersey welcomed the Queensland cohort. “It seems that the advancement and understanding of science have always relied on the sharp wisdom of young minds like yours. How exciting for you all to be on the cusp of a journey that could, like the ones taken by the young scientists before you, contribute to our greater collective understanding of the how and why of the world around us,” His Excellency the Honourable Paul de Jersey AC. His Excellency also treated a small group of students to a private tour of the residence. Paris Solman from Pine Rivers State High School was one of the lucky students to receive a tour. The NYSF would like to thank all of the state and territory Governors and their partners, staff, NYSF partner organisations, Rotarians and those involved in the selection of the NYSF 2019 Year 12 Program students. With less than a month to go, we can’t wait to meet all of the 2019 participants!